The Syracuse University Art Galleries presents “Paul Strand: The Mexican Portfolio,” an exhibition of 20 original photogravures recently acquired by the University Art Collection. Curated by SUArt Galleries Collection and Exhibition Coordinator Emily Dittman, this exhibition presents the complete Mexican Portfolio, which includes photogravure impressions of people, landscapes, architecture and religious objects that Strand encountered in Mexico during his travels there in 1932-33. Presented concurrently with the exhibition “Print Making Revolution: Mexican Prints and the Taller de Grafica Popular,” this exhibition continues the yearlong celebration of international art and artists at the Syracuse University Art Galleries. The exhibition will open Nov. 7 and run until Jan. 12, 2014, in the Shaffer Art Building. Gallery hours are Tuesday-Sunday, 11 a.m.-4:30 p.m.; and Thursdays 11 a.m.-8 p.m. The SUArt Galleries will host a free opening night reception from 5-7 p.m. on Thursday, Nov. 14. Patrons are welcome to view the exhibition until the gallery closes at 8 p.m. The reception is open to the public. 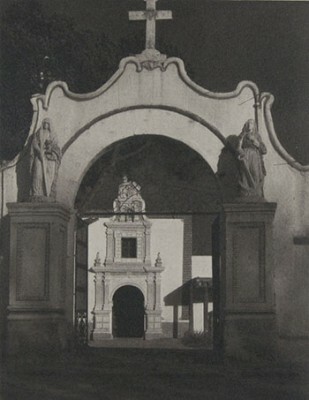 In 1932, Strand was invited by Carlos Chavez, director of the fine arts department of the Secretariat of Public Education, to document the changing landscape and people of Mexico. During the two years Strand spent in Mexico, he traveled the countryside with his Korona and Graflex large-format cameras. He explored small towns, churches, religious icons and the people who inhabited the land. Strand, like many of the artists who were making art at the Taller de Gráfica Popular print studio, worked on these photographs during the period when the post-revolution government was trying to establish a modern national culture that would capture Mexico’s unique character. The result of his travels in Mexico was more than 175 photographic negatives and 60 platinum prints. Twenty of these images were selected by Strand to be published as a portfolio in 1940, titled “Photographs of Mexico.” In 1967, the portfolio was re-released as the “Mexican Portfolio,” featuring the photogravure impressions displayed in this exhibition.